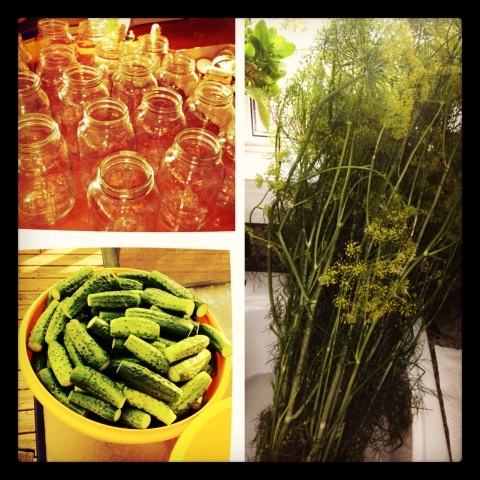 Today my father and I made pickles the way his mother did (and sometimes still does). In case you don't already know, I have a major obsession with dill pickles. They're actually my favorite food. These ones top any others that I have ever tried, they're our simple family secret.